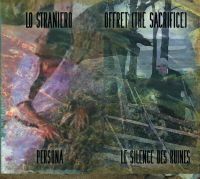 "Le Silence des Ruines is a martial/ambient french band created by his only member, Nicolas F. (also member of Jörvallr). After creating for Jörvallr a few tracks in a martial tone, he decided to create a new project based on ancient wars, including the apocalyptic vision of the ruins. A journey through the dark old days of ancient Europe. The very first EP (lim.100 ex.) was released on the Spanish label Marbre Negre in 2010. In 2011, the EP "Pardonne-moi Lucifer" was available for free download. 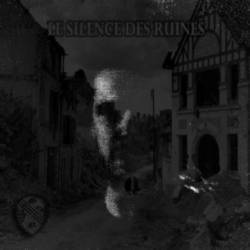 Currently, Le Silence des Ruines is working on a full length album." Music By [All Sounds], Performer [All Sounds] – Nicolas F.
This album is a compilation of old tracks, recorded between 2007 and 2010. CDr in A5 format with picture. Limited to 100 handnumbered copies. "This album is dedicated to the memory of Dennis Schneider (Soldat D.) 1980-2017. Thanks to all those who support Le Silence des Ruines! Special Thanks to: My Wife and my Son, Marbre Negre, Sven Phalanx, Tsek"
Share it around you if you like it. All your comments are very welcome. Partagez-le autour de vous et tous les commentaires seront les bienvenus. Поделись им вокруг себя если тебе нравится это. Все ваши комментарии очень приветствуются. Памяти Денниса Шнайдера (Солдата Д.) 1980-2017.